I thought the alloy neck fyrbyrd was your secret project!!!! It is FINE!!! I know your love is for the old school Maton electrics but I wondered what your take is on their currently available ones – like the MS500, MS503, M503C ? Hard to find anyone who knows much about them (who isn’t trying to sell them) but as Im not an experienced enough player its hard to make an informed assessment myself. 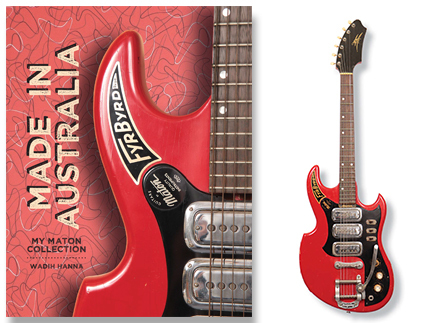 I figure if I’m buying a good guitar why not buy Australian-made if possible and if the quality is on par with American-made Fenders. Any opinions much appreciated and any word on the crowd funding plans for the book?